​German side RB Leipzig will have to wait until June before they learn whether or not they will be allowed to play in next season's Champions League competition. 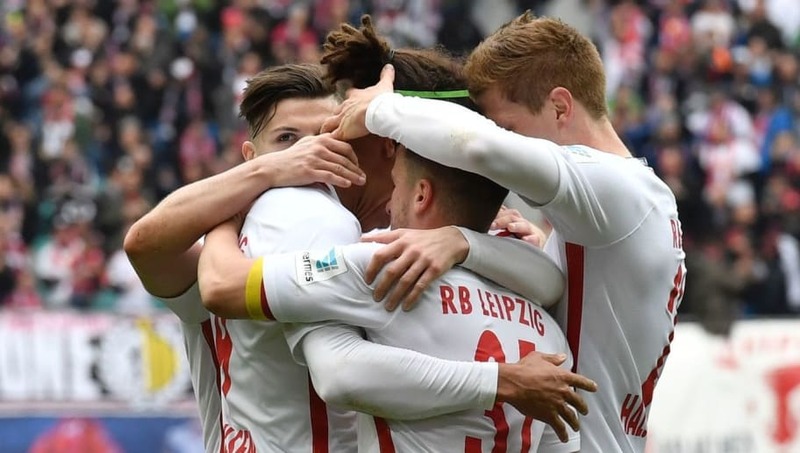 Saturday's 4-0 win over Freiburg means that Ralph Hasenhüttl's side are guaranteed a place in the Bundesliga top four and have, in theory, qualified for European football's elite competition. May 2009: RB Leipzig founded. April 2017: RB Leipzig qualify for the Champions League. However, the ​BBC report that their eligibility for the Champions League remains uncertain and they could yet be thrown out of the competition as UEFA rules stipulate that only one team owned by the same organisation is allowed to play in European club tournaments. Founded in 2009 by energy drink company Red Bull, Leipzig in theory are partnered with Austrian side Red Bull Salzburg, who are also owned by the same company. With Salzburg some 15 points clear the top of the Austrian League, it appears likely that they will also secure qualification for the Champions League next season as well. The situation could well mean that one team will be banned from playing in the competition and UEFA are set to make a ruling on the matter in June, meaning that both sides are facing a long wait to discover their fate. Current rules mean that whichever team is thrown out of the tournament would not even have the comfort of playing in the Europa League either, but speaking about the scenario back in February, Leipzig's CEO, Oliver Mintzlaff, is confident that his side will be playing Champions League football in September. Which of these unlucky omissions most deserved to be nominated for the 2017 PFA award?